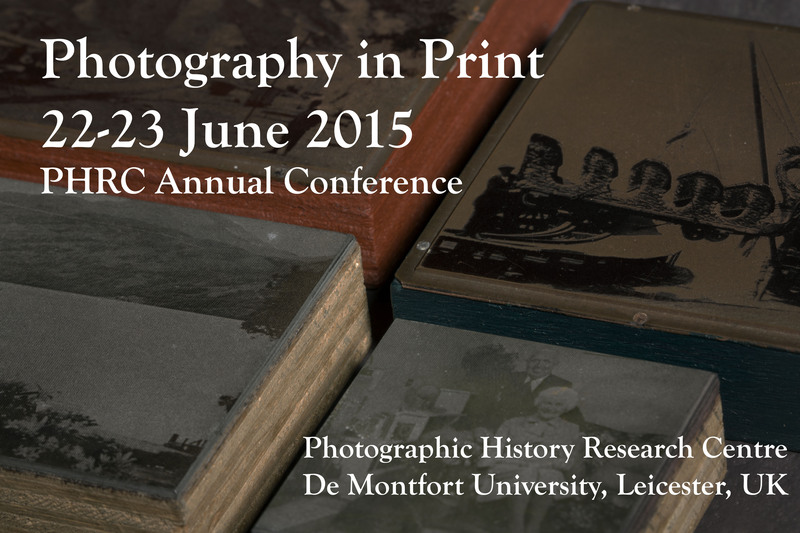 The 2015 PHRC Annual International Conference will address the complex and wide range question of ‘photography in print.’ The conference aims to explore the functions, affects and dynamics of photographs on the printed page. Many of the engagements with photographs, both influential and banal, are through print, whether in newspapers, books, magazines or advertising. Photography in Print will consider what are the practices of production and consumption? What are the affects of design and materiality? And how does the photograph in print present a new dynamic of photography’s own temporal and spatial qualities? In addition, photography can be said to be ‘made’ through the printed page and ‘print communities’. Therefore, the conference will also explore what is the significance of photography’s own robust journal culture in the reproduction of photographic values? How has photographic history been delivered through the printed page? What are the specific discourses of photography in the print culture of disciplines as diverse as history and art history, science and technology? In this sense, Photography in Print continues the theme of previous PHRC conferences, which have explored photographic business practices and flows of photographic knowledge.